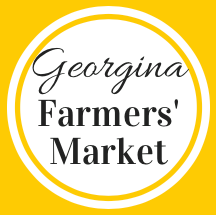 After several months of preparation, we would like to officially announce the Grand Opening of the Georgina Farmers’ Market which will run every Sunday from 9:00am to 2:00pm at The LINK in Sutton! 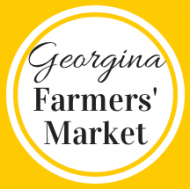 The Georgina Farmers’ Market will feature more than 30 vendors offering a wide range of local products including produce, meats, baked goods and crafts, all from local vendors. This community-run market gives consumers a unique opportunity to meet, get to know and support the people in our town and nearby communities who grow and prepare food. Market ambassador’s Natalia Zammitti and Donna Callfas are so excited about hosting the Georgina Farmers’ Market and making it a huge success!!! They believe that working together and supporting local business’ is crucial in building a strong, vibrant community, and that the Farmers’ Market will undoubtedly double as an amazing outlet to gather, learn, and connect regularly. Come out for a fun filled day with friends and family and enjoy all that the Farmers’ Market has to offer. There will be live music, face painting, free movement classes such as Yoga and Zumba etc. Help us celebrate our community, we look forward to seeing everyone this season at the Georgina Farmers’ Market – Keeping it local!